This past Sunday, 29 November, some of our 3rd year BSc (Hons) Sound, Light and Live Event students took some lighting fixtures and projectors over to Derby Cathedral to support their event, Evensong of Light: Celebrating 90 Years of Derby Cathedral. 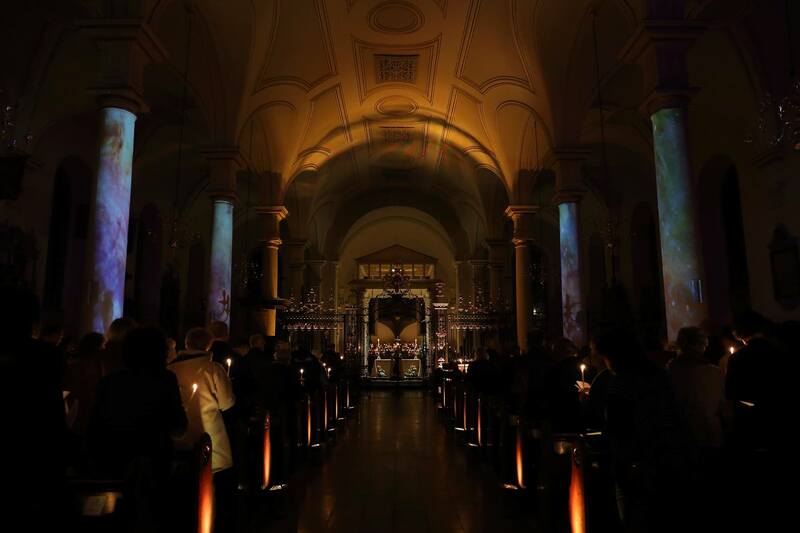 The students (with the help of our lecturers, Ben Sams and Simon Lewis) tapped into the Cathedral’s lighting system to individually address each lighting fixture in the building as well as to projection map video content onto the columns. The results were quite spectacular, which added a lot to the service. It was an excellent learning opportunity for the students and was a great way for us to give back to the Derby community!